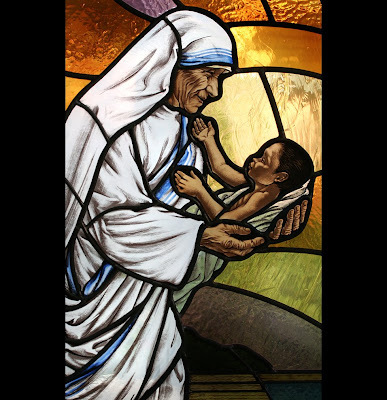 Teresa felt a tension between her calling to help the people of India and their continued suffering. In 1943, famine and disease rampaged through the poor people of Calcutta. In 1946, violence between Hindus and Muslims was escalating and cascading through the populace. Though she had already felt a calling upon her life and had answered it by becoming a nun, she felt another call. She would refer to this as her "call within a call" and it included helping the poor, diseased, and needy by living among them and providing them care, sustenance, and hospitality. Instead of simply providing for their physical needs, Teresa felt a call to love and embrace the poorest of the poor and treat them as she would like to treat Jesus. The Sisters of Loreto were doing good things by providing education and assistance to the needy--they were living into their call--but Teresa was called further to dwell among the needy and commune with them so that they might know that they were loved and welcome.